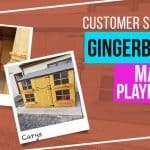 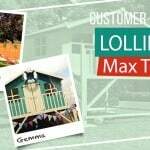 Check out how our customers have decorated their own Gingerbread Junior playhouse and read what they had to say about it! 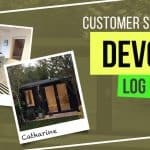 We regularly update our products with the latest customer media, click on an image below to see the full story and all the images. 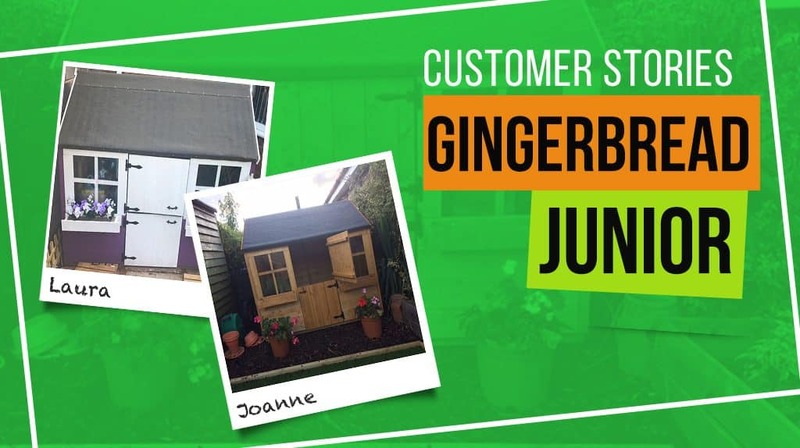 Joanne’s Gingerbread Junior has been decorated with flower pots on either side of the stable door and looks just like a fairytale cottage. 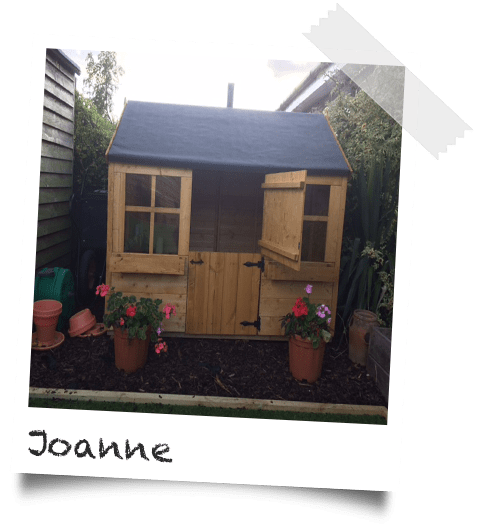 Joanne said the Playhouse’s pretty features and stable door were what made her go for Gingerbread Junior. 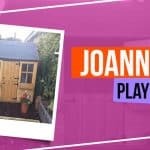 Laura’s Gingerbread Junior playhouse is a wonderful playhouse for her young daughter. 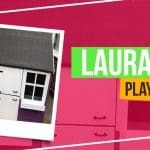 It’s a fun, safe space for Laura’s daughter to play in her garden. 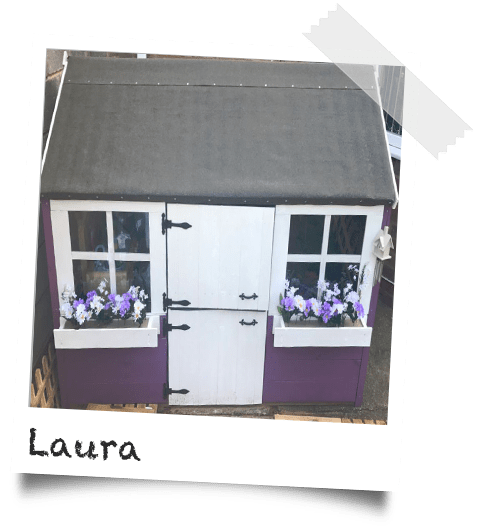 Adorned with pretty flowers in the window boxes and painted in a deep purple, the inside has been kitted out with a toy kitchen.